Lisa Blakemore-Brown is an independent applied psychologist specialising in ADHD, Asperger Syndrome and related disorders. She is Chairwoman of Promoting Parenting Skills (BPS Psychologists). Her recent research has focused on early intensive system intervention, and the increasing professional recognition of the overlapping features of ADHD and Asperger Syndrome. [vid 2011 May] Epidemic of Autistics Going to Jail - Lisa Blakemore Brown Polly Tommey interviews Lisa Blakemore Brown who describes how Autistics are going to prison in epidemic proportions. From protecting struck off paediatrician Dr David Southall to promoting the Swine Flu vaccine, the previously respected BBC Panorama programme has now elected to become the UK government mouthpiece for the vaccine industry. Lisa Blakemore Brown says: "So much for balanced reporting. So much for Panoramic vision. So sad for the public and the right to freedom of speech and information in a so called democracy." [2009 may] David Southall “A Very Dangerous Doctor” BBC Panorama swims with sharks By Lisa Blakemore Brown, Psychologist. Professor Elizabeth Miller, Head of the Immunization Department in the UK who worked closely with Bob Chen at the CDC when the first Thimerosal studies were being "managed", sat in the Joint Committee for Vaccination and Immunisation/Adverse Reactions Sub Committee, with Dr David Salisbury and none other that Professor Roy Meadow, of MBSP fame, when the MMR was being introduced. In the Sally Clark case, Professor Meadow accused her of killing two children who had just been vaccinated, one just 5 hours earlier. To my certain knowledge, as a Psychologist specialising in Autism since 1993, and working as a generic Psychologist since 1984, many parents whose children reacted to a vaccine have been wrongly accused of MSBP. Known side effects have been morphed into child abuse. Workers have been taught to view them this way and act accordingly. Some have had their children taken from them, some were sent to prison and Sally Clark lost her children and her life. Gerberding in the US in the last two days has cast serious doubt on the validity and reliability of the epidemiology of which Professor Miller was a part. What has been going on behind the dark curtain of international pharmaceutical/political commercial interests? Why would Professor Meadow accuse people of harming their children when he knew vaccine reaction had to be part of the differential diagnosis? Why would Professor Miller allow herself to be involved in flawed epidemiology? During the seventies when my own interest in this once very rare disorder began to emerge, if I told people about this interest they usually thought I was saying `artistic` as `autistic` was unheard of. As Hilary Butler says, the incidence was SO low that the behaviours we now see in front of us in every classroom - the BEHAVIOURS Camille, not the DIAGNOSES - were confined to very few children who invariably were found alternative schools as they could not be taught and managed in the school system. As the epidemic of autistic BEHAVIOURS has risen dramatically in the last few years, the system has introduced various measures and sleights of hand to make us all think that these BEHAVIOURS were all there before but not seen. INCLUSION policies put pressure on everyone including EDUCATIONAL TRIBUNAL PANELS to ensure these BEHAVIOURS are not viewed as autism but MISINTERPRETED as something else - anything else but not autism given the legal challenge/iatrogenic issue - and increasingly seen to be the fault of the parents. Independent professionals such as myself are targeted. Teaching hospitals are removing diagnoses and reinterpreting the BEHAVIOURS which now have teachers and assistants on their knees trying to cope yet forced into saying they can cope - especially in Educational Tribunals. Tried and tested intensive methods and facilities which used to be in place when the numbers of autistic children were manageable are now being removed from schools with staff forced into introducing wholly ineffective `BEHAVIOURAL` policies with `the child must take responsiblity for his own BEHAVIOUR` at their pivot. This is because the numbers of children with autistic BEHAVIOUR problems has sky rocketed, so its cheaper and easier to blame the child or the parent to limit the resource costs. It also conveniently shifts the focus of the real causes. 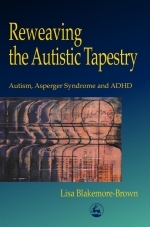 The system has polished up its methods for focusing on parents who are blamed for causing their children's disorders, but it dare not introduce the methods to help the children as this is not only expensive but tantamount to admitting what it refuses to accept - that there is an epidemic of autistic spectrum disorders and that there must be an explanation. Focused, intensive but costly interventions delivered by specialists are being replaced by general `programmes` drawn out of the cascade model after someone attends a one day seminar then passes on information on a photocopied sheet to be delivered by classroom assistants on the lowest hourly rate of pay.